If you’ve recently taken a break from work to take care of your children, home, or whatever the reason–it might take a bit of adjusting to jump right back into the business world. 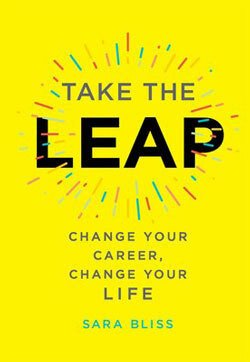 Sara Bliss, author of TAKE THE LEAP, shares Jennifer Gefsky’s advice on how to go back to working after a parenting gap. Going back to work after a parenting gap can be a challenge, and the longer you’re out, the harder it is to get back in. Jennifer Gefsky, after her own seven-year parenting leave from a law career, cofounded Après, a job marketplace for women reentering the workforce. She shares five pieces of advice from how to address your time off to scoring a job offer. #1. You have to really want to go back. We’d all like to work part-time, and maybe after a year you can ask about a more flexible schedule, but companies really do that only when employees have established themselves. It is rare to see those jobs for new employees, so know that if you want to go back to work, you have to be all in. #2. You might need to take a step backward. If you were a senior vice president when you left your job, you may not be coming back to that position or salary, especially if you have a gap of several years. #3. Get yourself up to speed. You have to educate yourself and keep up with what is going on in the industry. You can’t go into an interview and say, “I haven’t worked in five or ten years, but here I am, ready to go.” You have to establish what you have done to stay on top of your skills and get yourself back up to speed. “I’ve interned here. I’ve taken this class . . . ” Something that establishes a commitment to what you are doing. Return-to-work internships are a great way to show that commitment. #4. Consider a career switch. One of the great benefits of taking a career break is that it allows people to step back and think about what they are passionate about. Let’s say you were in law and hated it, and now you want to go do X. So when you are interviewing for that X, you can say, “I know this is what I want to do. I studied it, I believe in it, and I am energized about it!” There is a lot to be said for an applicant who is super charged up about working for a company—people love that. If you have been out of the workforce, the best thing you can do is start networking with anyone and everyone. Contact former colleagues, and reach out to friends and family members. Ask if you can take them for coffee to get their advice. Be strategic in your networking—go into a meeting knowing what your “ask” is going to be, whether that is a reference, a referral to human resources, or a specific job you want to be considered for. Want to learn more about change and adjusting your life the way you want it? Check out TAKE THE LEAP by Sara Bliss. Excerpted from Take the Leap by Sara Bliss. Copyright © 2018 by the author. Used by permission of the publisher. All rights reserved. A road map for landing your dream job. Features inspiration and advice from more than sixty-five people who transformed their lives—and with this guide, so can you. They went from production assistant to million-dollar screenplay writer; attorney to surf instructor; mom to DJ; hairdresser to firefighter; real estate agent to award-winning chef. Do you want to go for that career you’ve always dreamed about? Launch a new company? Become a tech mogul? Live a life of adventure? Save the world? You’ll find wisdom from successful mentors like creative visionary and writer Simon Doonan, entrepreneur Barbara Corcoran, NFL player turned artist/activist Aaron Maybin, and wellness and beauty guru Bobbi Brown. This is a career guide for today’s ever-changing job market. Thinking about your own next chapter? Take the leap.